Let’s face it: hiring the right property manager to care for your valuable real estate investment is essential. When you’re entrusting the day-to-day operations of your condo or building to an individual or an organization, making sure that they are capable and competent is the best way to preserve your rental property’s value, maximize your revenue, keep your tenants happy, and to protect yourself from legal liability. 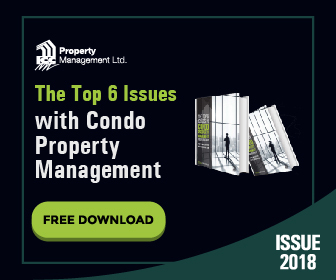 In many ways, recent changes to the Ontario Condominium Act were brought about to protect condo property owners from mismanagement. These changes include training and licensing requirements for property managers to ensure that they possess an established minimum amount of experience and industry knowledge. 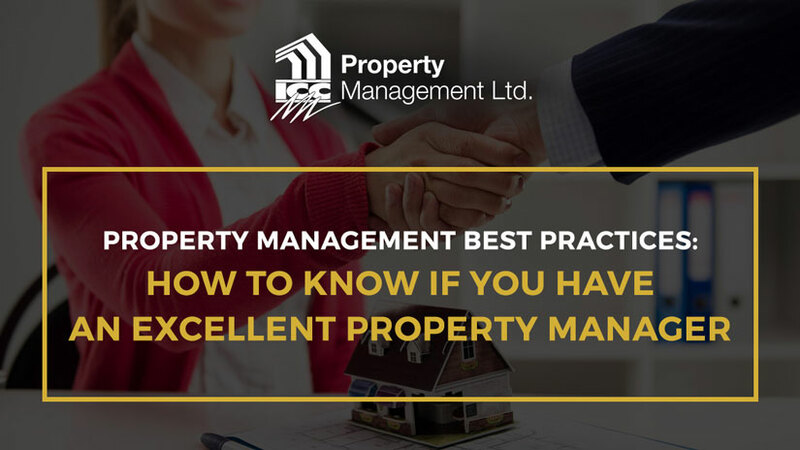 Since individuals and property management companies all take different approaches, these standards are in place to help make sure your property manager is, at the very least, competent. But what exactly does it mean to be an excellent property manager? We’ll examine six best practices that will let you know if you’ve got an outstanding property manager taking care of your rental inventory. But beyond these minimum requirements, there are additional skills an excellent property manager should have, and in many cases they can be difficult to teach. Your manager has to wear several hats at once, and they have to have the skillset to be able to juggle these multiple responsibilities. In the course of fulfilling their duties, your property manager will have to source and work with contractors, tradespeople, and other suppliers. With so many bad actors out there, it’s essential that you are getting the right people to do the work efficiently and cost-effectively. And in many cases, sourcing good suppliers and contractors boils down to word-of-mouth and industry contacts. That’s why your property manager should have been around long enough to have formed solid working relationships with the people you’ll need to keep your property in top shape. You won’t have to worry about inadvertently hiring inferior service providers. Getting licensed to operate as a property manager in Ontario requires a minimum level of training and education. CMRAO offers continuing education courses to ensure that anyone working in that capacity has the necessary skill set to act in a competent and capable manner. However, one characteristic of a strong property manager is a demonstrated commitment to ongoing professional learning and development beyond the required minimums. Are they dedicated to continuous learning? Do they stay on top of the latest industry trends and news? Do they exchange knowledge and expertise with others? Look for someone who demonstrates a passion for learning and teaching. Examples include being active in online industry forums, sharing ideas via social media, or acting as a mentor by publishing articles on business blogs like business-frontiers.org. Along with their general industry knowledge and expertise, your property manager has to be tactful and diplomatic. This is especially true when dealing with tenants, residents, and condo board members. They should have superior dispute resolution skills and be comfortable handling complaints, both responding to them quickly while ensuring that they don’t jeopardize relationships with other stakeholders. So, attention to detail is critical, and those property managers with a track record of organizational skills and who employ proven project management practices are more likely to ensure that things go smoothly. When disputes do arise, your property manager will be relied upon to make sure they don’t escalate further and get resolved as quickly as possible, to everyone’s satisfaction. Because your rental properties don’t operate in a vacuum, you’ll need to make sure that everyone involved can work together, and won’t reduce the efficiency of your day-to-day operations. At the end of the day, you’ll retain quality tenants and provide incentives for condo boards to act in your best interests. Integrity: We strive to build strong, long lasting relationships by delivering trustworthy, honest and strict ethical processes. Commitment: We are committed to our profession, loyal to the people around us and focused on learning and personal growth. All with a view to enhancing our clients’ lives and making our communities a better place to live. Care: We truly care about our clients, each other, the image we project for ourselves and the residents in our communities. Caring is the promise we make to ourselves and to others when we are trusted with the management of their single biggest investment. We deliver WOW: It’s all about the experience. At ICC, we go above and beyond the call of duty and provide true value to our clients. The fact that your property manager must have the proper certifications, experience, values and training to operate in Ontario doesn’t necessarily mean they will do great work for you. By looking out for these five best practices, you’ll be well on your way to hiring the property manager that will maximize your ROI and help you get the most out of your real estate investment. ICC Property Management is the award-winning property-management company of choice for condo owners throughout the Greater Toronto Area. Our licensed and certified management team has extensive experience with all aspects of condo management in Ontario, and they’re ready to help you get the most out of your property. Request a free management proposal and get started today!